Due to ongoing renovation, Fremont Hall will not be open by next academic year, according to university spokesperson Matt Lazier. The residence hall was closed in February 2017 following a mudslide triggered by heavy rain and was slated to reopen Fall 2018. Fremont Hall and the hill behind it have been the subject of renovations by Cal Poly Facilities Management and Development since Summer 2017. “Cal Poly Facilities Management & Development conducted extensive remediation work on the hillside behind the building throughout summer 2017, including drainage improvements and protection, grading and cleanup of the lower hillside adjacent to Fremont Hall, and road and parking lot repairs,” Lazier wrote. 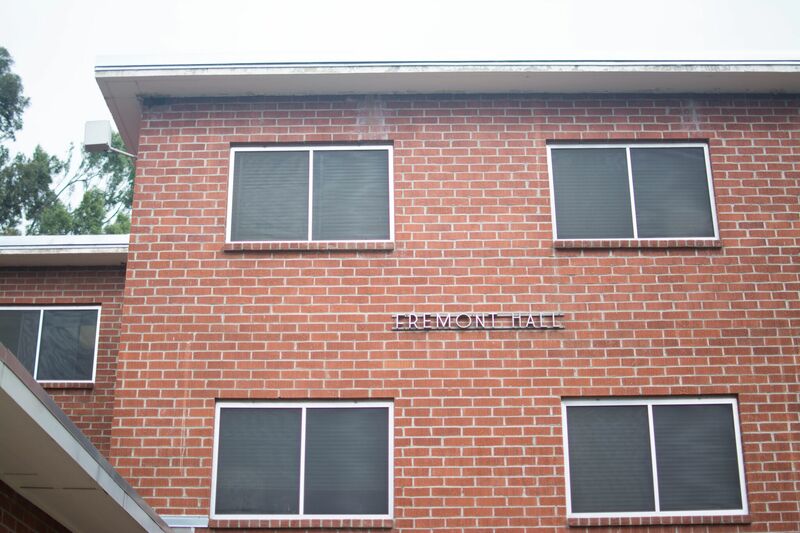 Despite Fremont Hall not opening in time, administration said there will be enough housing to accommodate freshmen and continuing students during the 2018-2019 school year. “With the yakʔitʸutʸu housing complex on schedule to open in Fall 2018 and add about 1,475 beds to campus, University Housing anticipates being able to house the majority of first-time freshman in campus residence halls, although some may be assigned in Cerro Vista Apartments based on demand or to accommodate an approved need,” Lazier wrote in the email. Lazier also stated that there is no risk of mudslides in the area behind Yosemite and Sierra Madre Halls. “The university knows through soil mapping that there is not a significant risk of a landslide resulting behind Sierra Madre and Yosemite halls, as the soil conditions in that location are different than those behind Fremont,” Lazier wrote.